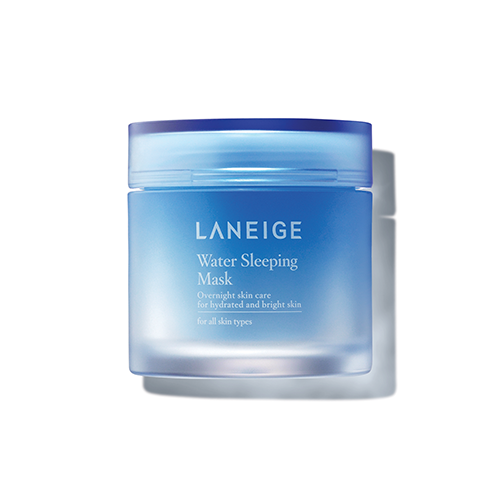 LANEIGE Water Sleeping Mask is designed to solve skin problems that are caused due to stress, dehydration or lack of sleep. It gives your skin a lively, well-rested appearance the next morning thanks to its Sleep-tox™ purifying effect. If you purchase this product you will earn 8-40 Points! Purifies your skin to relieve stress and tired skin. Provides ample moisture to retain a supple and hydrated skin quality that lasts all night. Soothes your skin to allow gentle recovery overnight. Contains aromatics to help you relax for a better quality of sleep. The Laneige Water Sleeping Mask also uses Apricot Extract to deliver anti-wrinkle benefits while Primrose Extract effectively reduces puffiness and soothes irritations. Primrose Extract – contains anti-inflammatory properties that help to reduce swelling and itching. It is also a rich moisturiser that provides the skin with essential nutrients and healthy fats. Apricot Extract – rich in Vitamins B, A & C, this ingredient heals damaged skin, reduces wrinkles and maintains skin elasticity to restore a youthful glow. After completing your skin care routine, apply an appropriate amount of product onto your face right before bed. Gently massage the product onto your face. Allow the product to settle in and work its magic overnight. Thoroughly rinse off the product with lukewarm water in the morning.